Do You Love a Good Surprise? Today’s 44 was a fairly simple move. 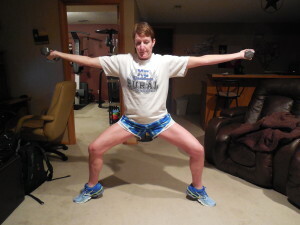 Plie calf raises while holding your arms straight out (I held 5 pound dumbbells for this). I tried to hold each calf raise for about 2 seconds – lots of wobbling!! And my arms were burning my the end!!! I did a quick 4 mile run (1.5% incline – 26:36) and my 100 jumping lunges. The workout had to be short because I have to hit the road!!! 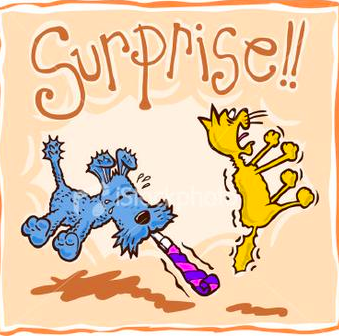 Surprises – I think that everyone has different thoughts on whether or not they like them or hate them. And, I guess it depends on whether it’s a good surprise or a bad surprise! Today I’m planning to surprise one of my very favorite people and I can’t wait!!! I’m making a super quick trip to Texas (driving down today and home tomorrow) – about 15 hours of driving for this surprise. 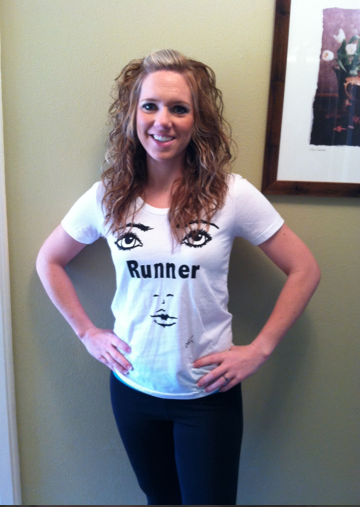 is running her first marathon on Sunday in Ft. Worth. 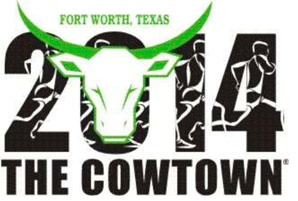 Last fall I thought about running this weekend, too. I was going to run the 50K (31 miles) instead of the actual marathon. However, the more I thought about it, the more I decided that this weekend was Stacy’s!!! I talked to her earlier in the week and told her I wasn’t going to run after all (and she thinks that I’m not coming because of that!!!). Going down just to watch and support Stacy will be much better!!! This way instead of thinking about my race and not even getting to see her, I will be there to support her 100%!! 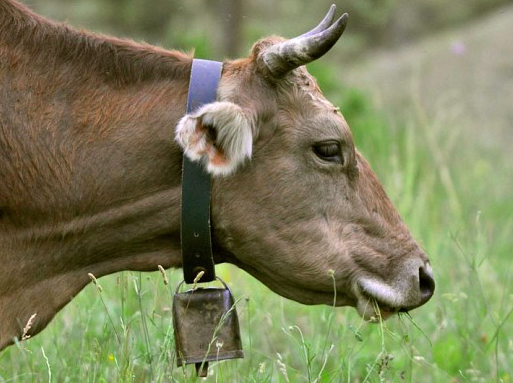 Now, I just need to find a cowbell! Shouldn’t be too hard on the drive today!!! Do you like surprises or would you rather know in advance what’s coming up? Previous PostGreek Barley SaladNext PostToo Early for Words!